Summary: If you saw the 1995 film adaptation of this Crichton thriller, somebody owes you an apology. While you're waiting for "that" to happen, try reading the vastly more intelligent novel on which the movie was based. The broad lines of the plot remain the same: A research team deep in the jungle disappears after a mysterious and grisly gorilla attack. A subsequent team, including a sign-language-speaking simian named Amy, follows the original team's tracks only to be subjected to more mysterious and grisly gorilla attacks. 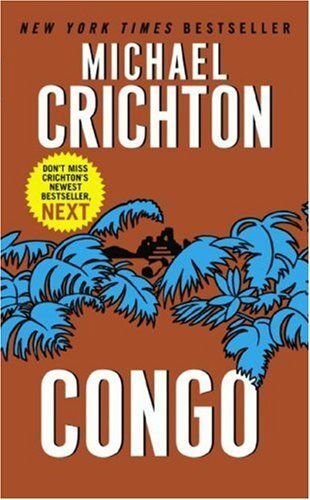 If you can look past the breathless treatment of '80s technology, like voice-recognition software and 256K RAM modules (the book was written in 1980), you'll find the same smart use of science and edge-of-your-seat suspense shared by Crichton's other work. " --Paul Hughes"
My Comments: The movie was absolutely horrid. The book was much better. Summary: "Jurassic Park" author Michael Crichton is possibly the best science teacher for the masses since H.G. 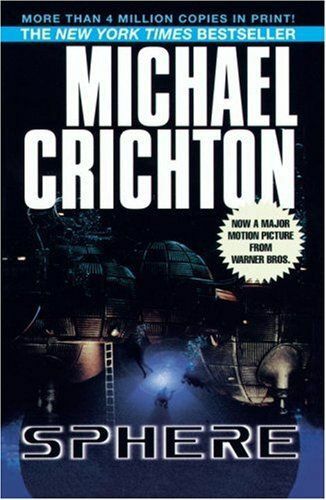 Wells, and "Sphere", his thriller about a mysterious spherical spaceship at the bottom of the Pacific Ocean, is classic Crichton. A group of not-very-complex characters (portrayed in the film by Sharon Stone, Dustin Hoffman, Samuel L. Jackson, and Queen Latifah) assemble to solve a cleverly designed roller coaster of a mystery while attempting (with mixed success) to avoid sudden death and expounding (much more successfully) on the latest, coolest scientific ideas, including the existence of black holes. Somehow, Crichton manages to convey the complicated stuff in utterly simplistic prose, making him, as his old pal Steven Spielberg puts it, "the high priest of high concept." Yet there is more to Crichton than science and big-ticket show biz. He is also, as any reader of his startling memoir "Travels" knows, a bit of a mystic--he is entirely open to notions spouted by spoon-bending psychics that most science writers would scorn. "Sphere" is not only a gratifying sci-fi suspense tale; it also reflects Crichton's keen interest in the unexplained powers of the human mind. When something passes through a black hole in Crichton's fiction, a lesson is learned. The book also contains another profound lesson: when you're staring down a giant squid with an eyeball the size of a dinner plate, don't blink first. Summary: Unless your species evolved sometime after 1993 when "Jurassic Park" hit theaters, you're no doubt familiar with this dinosaur-bites-man disaster tale set on an island theme park gone terribly wrong. But if Speilberg's amped-up CGI creation left you longing for more scientific background and ... well, character development, check out the original Michael Crichton novel. Although not his best book (get ahold of sci-fi classic "The Andromeda Strain" for that), "Jurassic Park" fills out the film version's kinetic story line with additional scenes, dialogue, and explanations while still maintaining Crichton's trademark thrills-'n'-chills pacing. As ever, the book really is better than the movie. " --Paul Hughes"
My Comments: Book and movie on par. Summary: Written in the wake of "Jurassic Park"'s phenomenal box-office success, "The Lost World" seems as much a guidebook for Hollywood types hard at work on the franchise's followup as it is a legitimate sci-fi thriller. Which begs the inevitable questions: Is the plot a rehash of the first book? Sure it is, with the action unfolding on yet another secluded island, the mysterious "Site B." Is the cast of characters basically the same? Absolutely, from a freshly minted pair of cute, compu-savvy kids right down to the neatly exhumed chaos theorist Ian Malcolm (who was presumed dead at the close of "JP"). But is it fun to read? You betcha. Hollywood (and Michael Crichton) keeps telling us the same old stories for a very good reason: we like them. 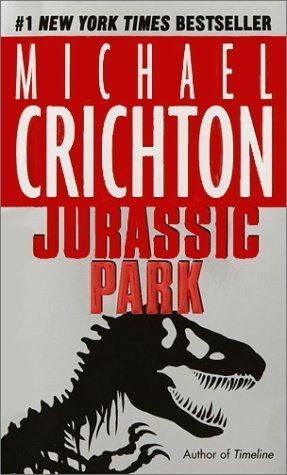 And the pulp SF formula Crichton has mastered with "Jurassic Park" and "The Lost World" is no exception. " --Paul Hughes"
My Comments: The book was much better than the movie. Summary: When you step into a time machine, fax yourself through a "quantum foam wormhole," and step out in feudal France circa 1357, be very, very afraid. If you aren't strapped back in precisely 37 hours after your visit begins, you'll miss the quantum bus back to 1999 and be stranded in a civil war, caught between crafty abbots, mad lords, and peasant bandits all eager to cut your throat. You'll also have to dodge catapults that hurl sizzling pitch over castle battlements. On the social front, you should avoid provoking "the butcher of Crecy" or Sir Oliver may lop your head off with a swoosh of his broadsword or cage and immerse you in "Milady's Bath," a brackish dungeon pit into which live rats are tossed now and then for prisoners to eat. 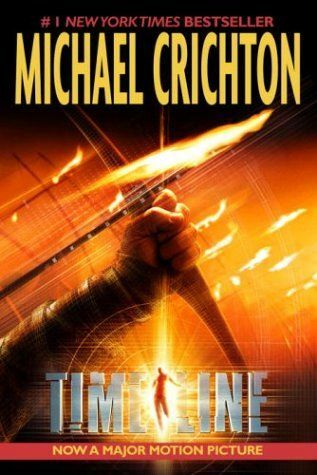 This is the plight of the heroes of "Timeline", Michael Crichton's thriller. They're historians in 1999 employed by a tech billionaire-genius with more than a few of Bill Gates's most unlovable quirks. Like the entrepreneur in Crichton's "Jurassic Park", Doniger plans a theme park featuring artifacts from a lost world revived via cutting-edge science. When the project's chief historian sends a distress call to 1999 from 1357, the boss man doesn't tell the younger historians the risks they'll face trying to save him. At first, the interplay between eras is clever, but "Timeline" swiftly becomes a swashbuckling old-fashioned adventure, with just a dash of science and time paradox in the mix. 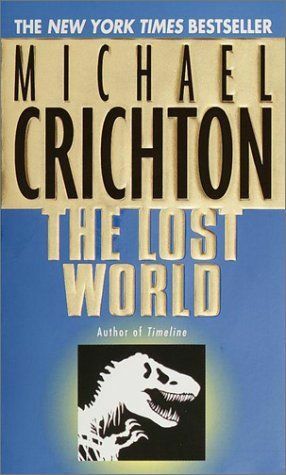 Most of the cool facts are about the Middle Ages, and Crichton marvelously brings the past to life without ever letting the pulse-pounding action slow down. At one point, a time-tripper tries to enter the Chapel of Green Death. Unfortunately, its custodian, a crazed giant with terrible teeth and a bad case of lice, soon has her head on a block. "She saw a shadow move across the grass as he raised his ax into the air." I dare you not to turn the page! Through the narrative can be glimpsed the glowing bones of the movie that may be made from "Timeline" and the cutting-edge computer game that should hit the market in 2000. Expect many clashing swords and chase scenes through secret castle passages. But the book stands alone, tall and scary as a knight in armor shining with blood. " --Tim Appelo"
My Comments: An adventurous romp fusing sci-fi, quantum physics, and fantasy. A thoroughly enjoyable read. Already destined for the big screen. p.s. The movie sucked!